Done right and regularly, tree pruning will ensure your trees last for generations – helping them resist damage from storms, disease, pests, drought, and cold. But pruning requires know-how, and that’s where Lucas Tree comes in. Every cut in a live tree is a wound, opening that tree to the possibility of infection. That’s why pruning needs to be done correctly, with knowledge of a particular tree’s structure and growing habits. 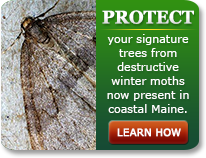 By taking advantage of a tree’s own protective mechanisms, proper pruning helps a tree grow stronger. Trees are pruned for beauty, strength and health. 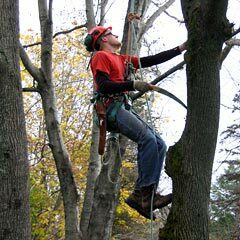 Pruning ensures better air circulation and light penetration, safety and clearance for structures or people. Pruning a young tree encourages it toward the shape it will have later – columnar, pyramidal, spreading, or weeping. Knowing a tree’s natural inclination will determine what kind of pruning it needs in its early years. Mature trees need pruning too, even if they’ve been well cared for earlier on. The years, with their attendant storms, droughts, and insects will take their toll. 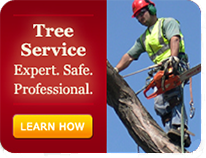 Sometimes large branches will need to be removed, or the crown thinned to lighten the weight on the top of a tree. If so, the pruning needs to be performed as carefully as possible to avoid further damage to the tree, not to mention buildings and landscaping nearby. At times, in addition to regular pruning, an older tree will need to be braced or cabled for added support. Such trees may be structurally weak, heavily burdened with fruit or foliage, or distressed from storm damage. Pruning takes time and skill, but remember, your trees are among your most valuable assets, and Lucas can help you care for them.